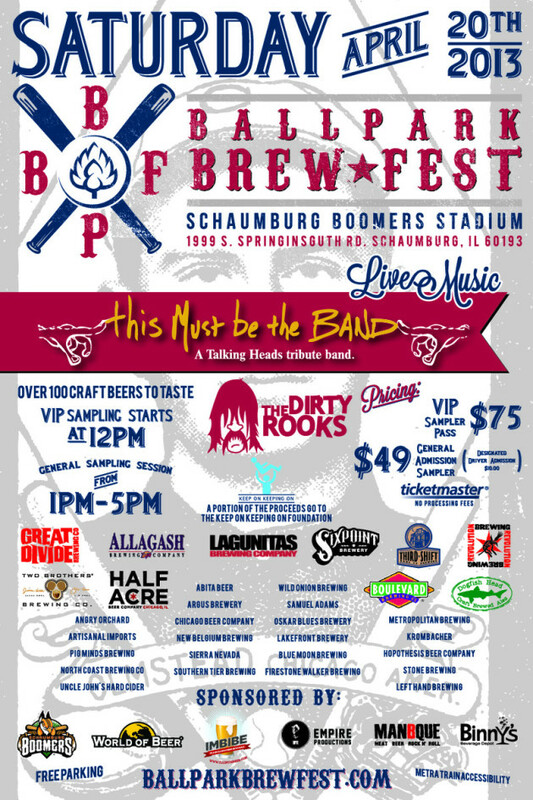 The Ballpark Brew Fest is a beer festival to be held Saturday, April 20 at Schaumburg Boomers Stadium. Over 100 craft beers will be available to sample inside the home of the Schaumburg Boomers baseball team. Musical headliners are This Must Be the Band, a Talking Heads tribute group. General admission tickets are $49 and includes a four-hour sampling session. A designated driver ticket is $10. VIP tickets are $75 and gets to sample one hour earlier with exclusive tappings.